Evening folks…here is another from the Snowy shoot from earlier this week. This bird was flushed by a walker on the beach. One could not blame this person, since they had no idea the bird was there until they were right on top of it. Off tomorrow to Maine to hopefully photograph eagles for a few days. 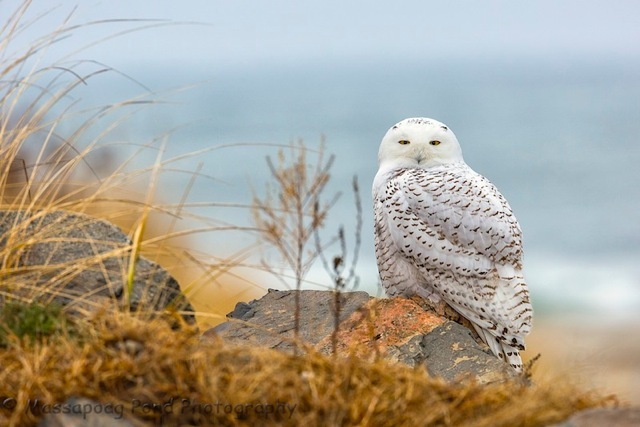 Morning folks…Snowy Owls are such a striking bird! Here is another from Monday's shoot along the NH/MA coastline. Evening folks…still going though the images from Canada, and stumbled onto this frame that I had to share. 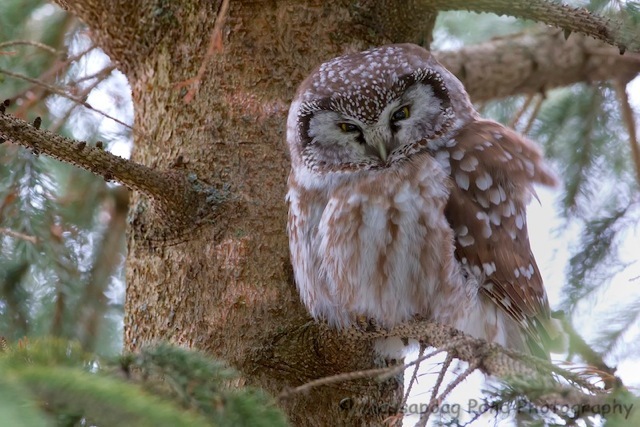 This Great Gray Owl was only about 30 feet from me when I was able to click a few frames with my 500mm lens. Just look at those eyes! Nice 'mug shot aye'. 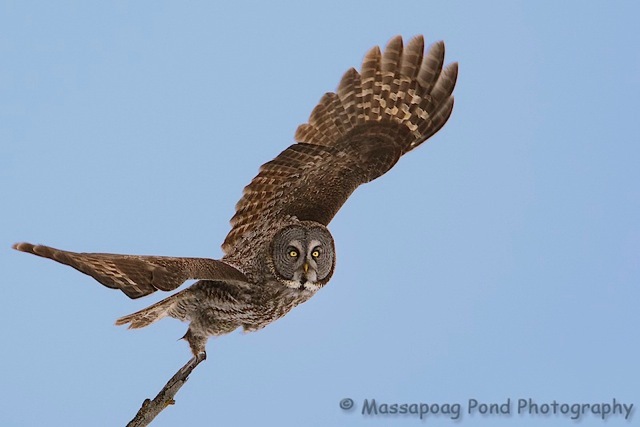 Evening folks…another Great Gray Owl from Canada, just love how its talons are just touching the perch! 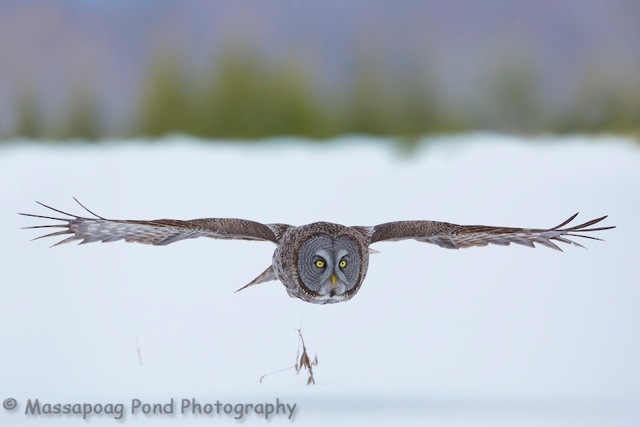 Evening folks…I was in Canada all of last photographing Great Gray Owls! 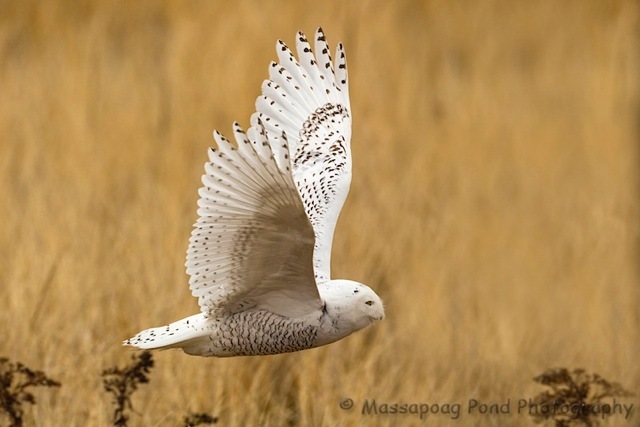 This owl has the latest wingspan of any owl in North America. 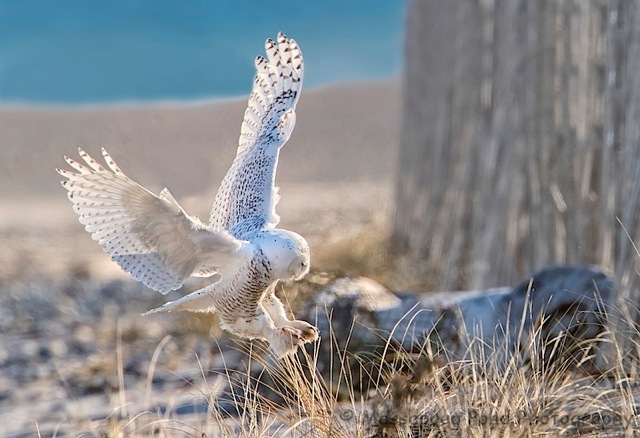 They typically live in the boreal forest and western mountains of Canada but due to the lack of food they moved into the Northern US and Southern Canada. 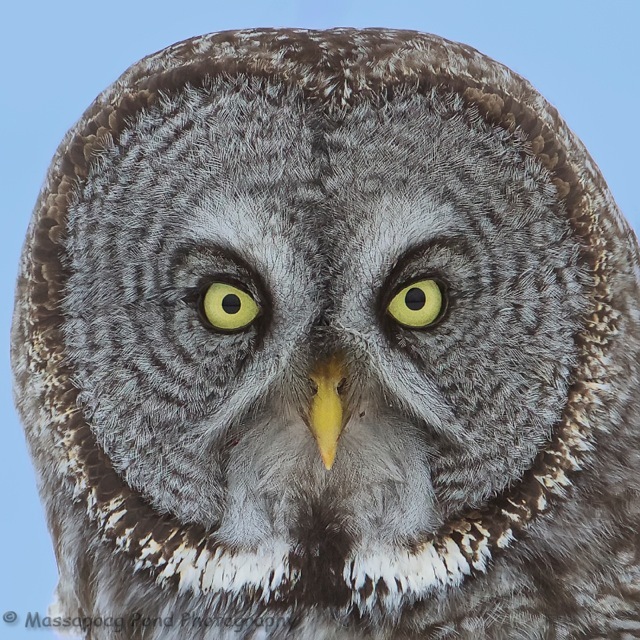 For anyone wishing to purchase a print here is a direct link to the Great Gray Owl . More photographs can be found in this gallery.